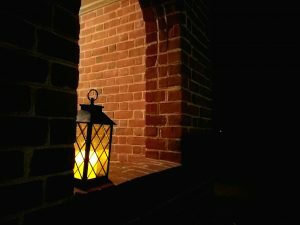 Friday, October 19th, 6:00 p.m. – 10:00 p.m.
For the very first time, Historic St. Luke’s presents a night of Twilight Cemetery Tours for adults only. A hard cider tasting (featuring Sly Clyde Ciderworks) will be included in the experience. Guests must be 21 years of age or older to participate. IDs will be checked at the door and anyone younger than 21 years old will not be admitted. Dead men don’t tell tales, but their tombstones do! Historic St. Luke’s Church has been the site of burials since the 1600’s. Enjoy the stories of local saints and sinners on a guided tour through the Ancient Cemetery. The experience will begin with a cider tasting and end with a 30 minute tour of the Ancient Cemetery. Tastings/Tours begin on the hour at 6 p.m., 7 p.m., 8 p.m., and 9 p.m. Spots are limited. Please purchase tickets in advance to insure availability. Participants are asked to wear closed-toe shoes and bring a flashlight. There are Twilight Cemetery Tours on 2 other nights listed as separate events on Facebook. The other Twilight Cemetery Tours are family and kid friendly! If you would prefer another night, please search for the related events.